Biodiesel is no longer just made from plant resources. Scientists in Nevada have found a new way to make biodiesel out of chicken feather meal. This advancement could take some of the resource competition out of the biodiesel industry. Currently, most biodiesel is made from soy and vegetable oil, which is also a human food source. Chicken feather meal is not used as a human food source; it is used as a fertilizer and as a component of animal feed because of the high protein content. With current amounts of chicken feather meal that is being created in the US, 153 million gallons of biodiesel could be synthesized annually. 593 million gallons could be created worldwide out of chicken feather meal. Also, in the process for synthesizing biodiesel out of feather meal only uses the fat content that can be extracted from the meal, and that turns the remainder of the chicken feather meal that is unused into a higher grade animal feed and a better fertilizer. Chicken feather meal is made from processed chicken feathers, blood, and innards. All of these ingredients are a waste byproduct of the poultry industry. They are processed under pressure at high temperatures. Scientists from the University of Bath will be working on capturing CO2 and recycling it into usable materials such as fuel thanks to funding provided by the Engineering & Physical Sciences Research Council (EPSRC). This is a massive undertaking of a project, but if all goes well then these scientists may end up helping to reduce the world’s leading greenhouse gas. 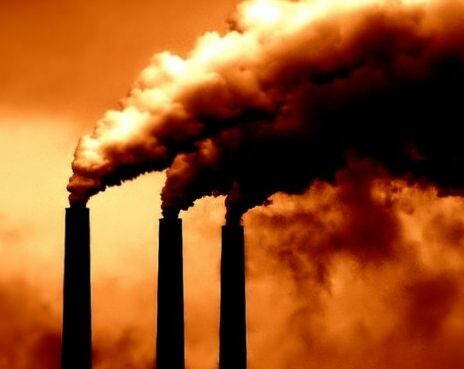 This project has only begun, but the scientists already have a good idea of how they might go about capturing this CO2. This project has a lot of potential for helping to reduce greenhouse gas emissions, as it could be applied to factories and other large scale CO2 emission contributors. There is even hope that eventually this technology might be able to be applied to automobiles, but that is in the distant future. Information was collected from here. Blood + Guts + Feathers = Biodiesel? As environmentalists continue to follow the model of ‘reduce, reuse, and recycle’ scientists continue to find ways of recycling waste products. One of the newest developments in the recycling aspect of the slogan involves turning chicken feather meal into biodiesel fuel. It is estimated that there is 11 billion pounds of poultry waste that is produced annually and just accumulates. This is because chicken feathers are not able to be stuffed into pillows, so the feathers as well as the other waste products (the innards and blood) are turned into a low-grade animal feed. Scientists in Nevada paid attention to the fact that chicken meal has a fat content of 12%. To remove the fat from the chicken meal the meal is put in boiling water and then the fat is processed into biodiesel fuel. This process is advantageous for the obvious environmental reason of providing another source of alternative fuel, but by removing the fat from the chicken meal it actually makes the animal feed remains a higher grade and it also turns the chicken meal into being a better fertilizer. Based on the scientists production methods and the annual amount of chicken meal produced on a yearly basis it is estimated that within the U.S. 153 million gallons of biodiesel fuel could be made. On a global scale there would be potential for creating 593 million gallons of biodiesel. Although this is an outstanding number, it is relatively small compared to the amount of fuel consumed on a yearly basis which stands around 4 billion gallons. Nonetheless, it is important for developments to continue in areas of recycling waste products. If more developments are made, the millions of gallons will slowly add up and present themselves as a viable fuel alternative.